I came across this tag on a blog called Lovely Little Lux-uries. This is such a unique and interesting thing that I decided to take it up. I have been meaning to do a “get to know me” kind of series but wanted something different than what you can see some of the other Indian bloggers do. This presents just such a unique concept killing two birds with one stone 🙂 I’m not going to do this 10 days in a row rather will do it every Sunday till it concludes. Day 1 is about picking a picture of yourself. I choose the one above. It was taken 7 years back at a time that I was insanely happy. You can probably see it in my eyes. A lot of life’s tests still had to cross my path and I was very much in love and very much naive. 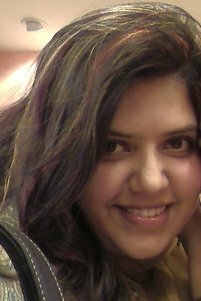 I like this pic of mine coz it reminds me of better times and that sense of innocence, so to speak, that I still had at that point 🙂 Dreams in my eyes and a spring in my step. Ahh fond memories…. So that was a short post. I will be back with this next week where I will talk about 2 songs. It will be tough for me to choose but luckily I have an entire week to second guess myself. What do you think of this tag? Feel free to pick it up and take on the challenge. Catch you later!